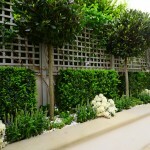 Wilson Lloyd Landscaping is a specialist garden design and construction company. 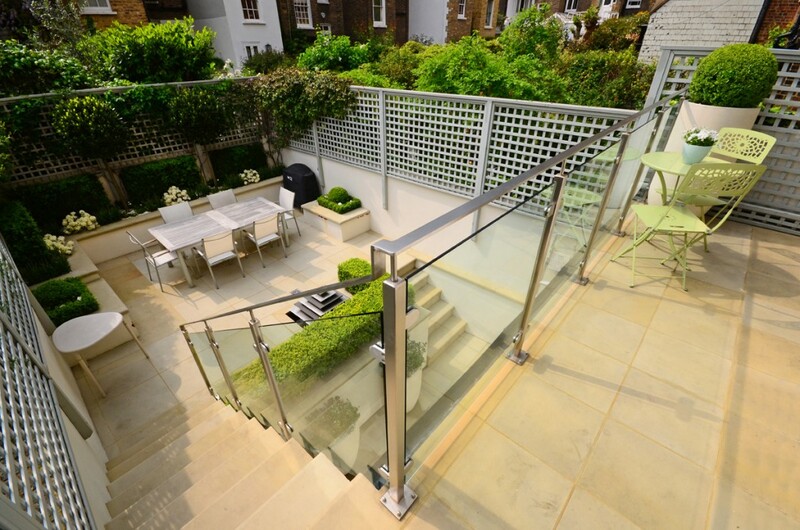 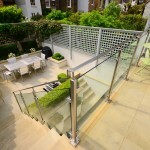 We excel at creating bespoke, detailed and original gardens for clients across London and the Home Counties. 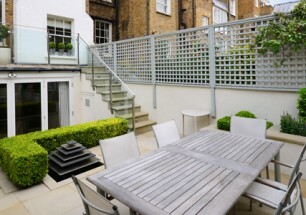 A terraced garden at the rear of a Chelsea townhouse that was looking tired and in need of rejuvenation to the planting and the hard-landscaping. 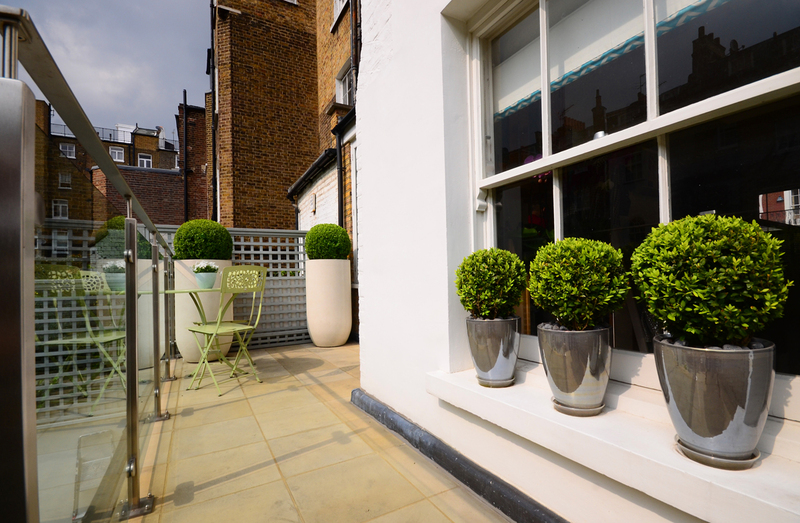 The walls, which were suffering from damp, were waterproofed, capped with sawn yorkstone, re-rendered and painted to brighten the whole area. 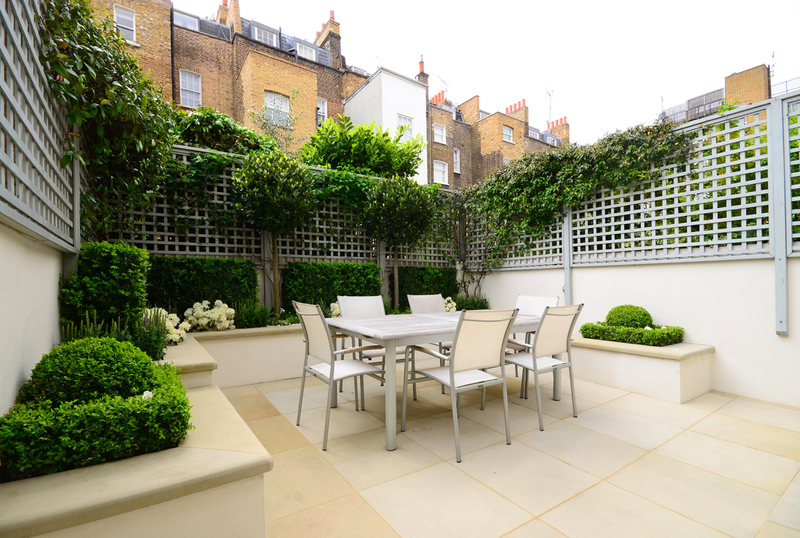 Tired yorkstone paving was cleaned, treated and re-pointed and large planters with a sandstone finish were positioned around the space in locations visible from within the house to improve the garden’s aesthetic from inside. 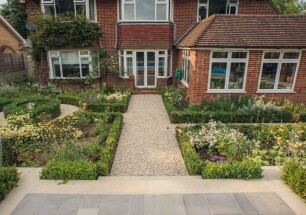 A new planting scheme was introduced throughout the garden using bay standards and blocks of buxus hedging to give structure to the formal space and a backdrop to flowering plants including azaleas, geraniums and salvia. 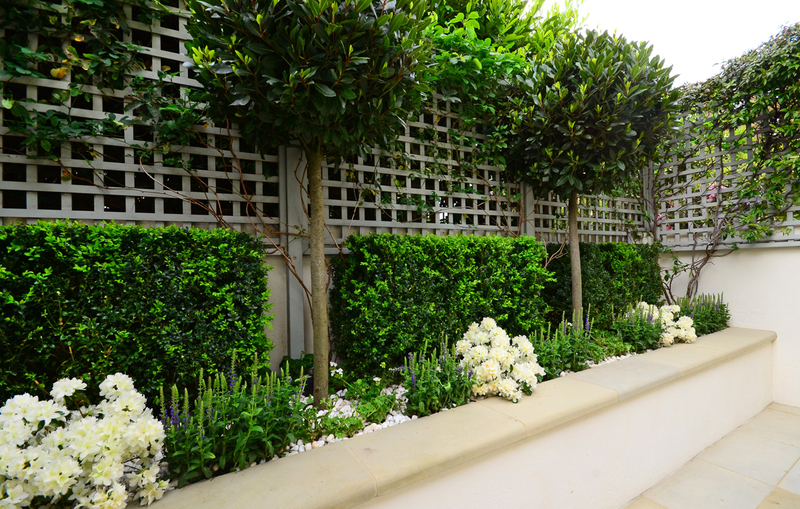 A combination of akebia and evergreen jasmine climbers supported by bright blue trellis panels frame the planted area and give privacy to a garden overlooked by many houses. 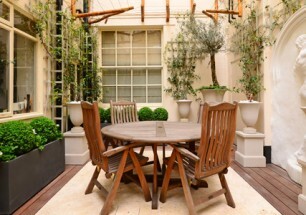 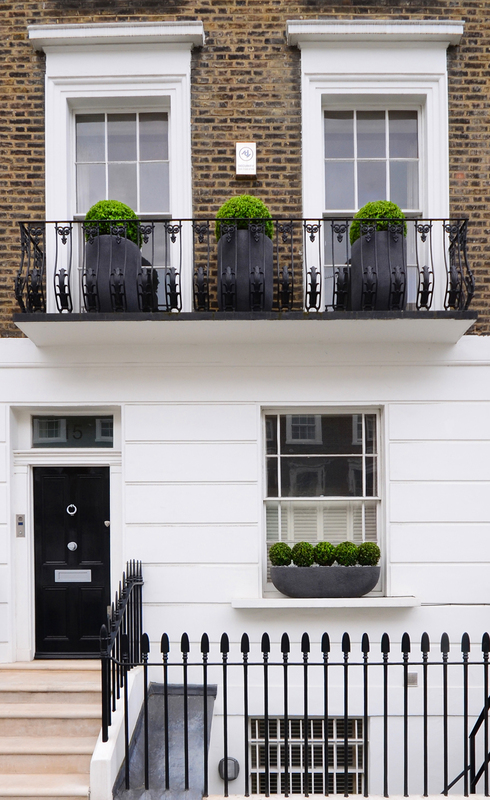 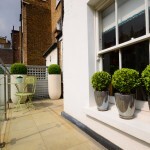 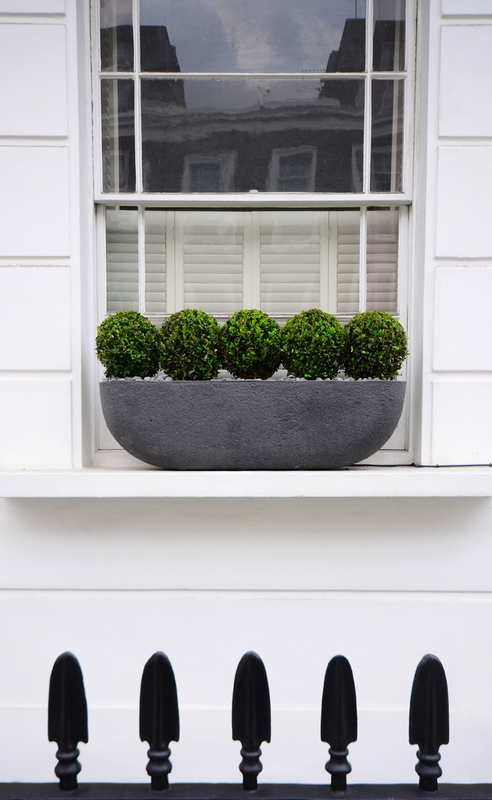 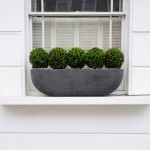 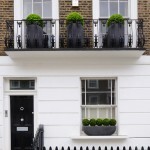 At the front of the property, bold, fibreglass planters with a stone finish hold buxus balls to give the house a unique and structured look.